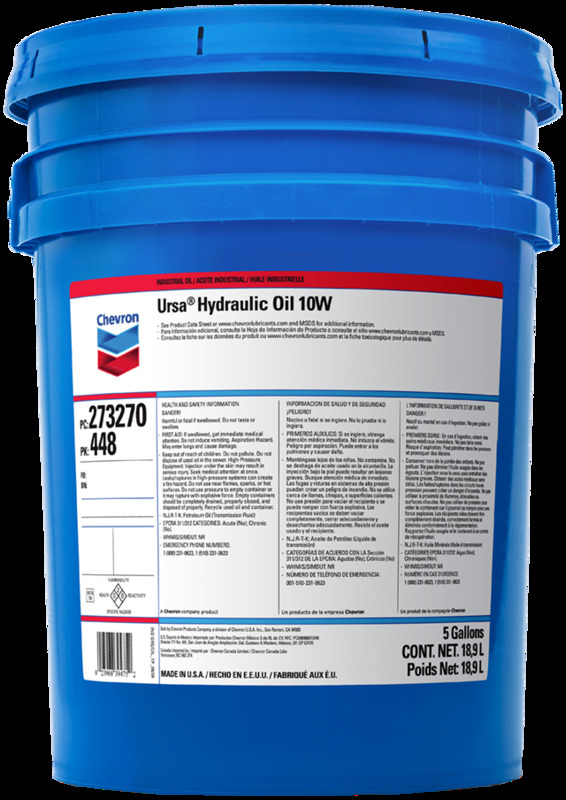 Ursa Hydraulic Oil 10W is a premium hydraulic oil specifically designed to give maximum hydraulic pump protection in on- and off-highway heavy duty hydraulic applications where an SAE 10W engine oil is specified. Ursa Hydraulic Oil 10W provides excellent antiwear protection, oxidation and corrosion inhibition, as well as foam and aeration suppression. The antiwear additives in Ursa Hydraulic Oil 10W create a protective film on the metal surfaces. This protective film minimizes metal-to-metal contact, which is most severe in vane- and piston-type pumps. 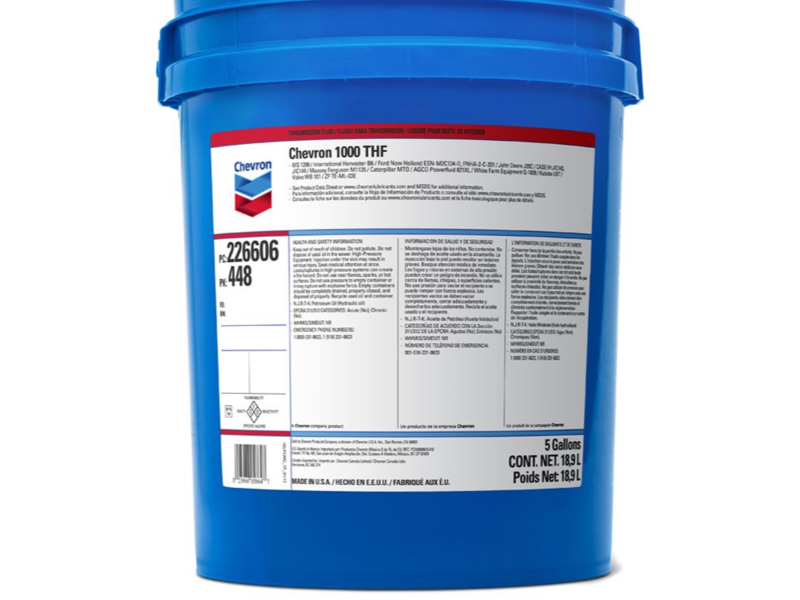 Low operating costs — Chevron 1000 THF meets or exceeds fluid performance requirements of most OEM’s, maintaining efficiency and reliability while minimizing overall operating costs. Long equipment life — Special additives protect metal surfaces against scuffing and wear even under severe operating conditions leading to maximum equipment life. Faulkner Auto is proud to offer a variety of premium quality Chevron hydraulic oils for your logging and agricultrual needs. Call or come by and let us help you with your needs.